Officer Henry Ferrell works in Wild Thyme, Pennsylvania, a rural northern town whose economy and landscape is slowly being changed by encroaching gas drilling operations. When the body of a young man is revealed by the March snow melt, Henry and his deputy, George Ellis, start an investigation. When George Ellis winds up dead, Henry is pulled into a maelstrom of police politics, small town attitudes, family feuds, and drug-related crimes. Like a hound dog following scent, Henry tenaciously follows lead after lead, hoping for a revelation into the cause of both murders. Yet the truth remains elusive. Henry must become more cunning and daring in his attempts to solve both crimes, efforts that soon make him a target as well. 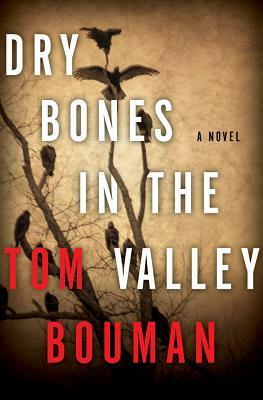 “Dry Bones in the Valley” is first of a series and a debut for Tom Bouman. The pacing was even and relentless, and Henry was likeable man with hidden depths. The rugged Pennsylvania landscape provided an evocative setting for an excellent mystery. Next book, I hope that Henry gets more of a chance to sleep and eat, though. He was pretty busy in this particular book. Poor guy!